Stampin' Up! 's catalog transition is a BIG deal. Out with the old & in with the new - kind of reminds me of ringing in the New Year now that I think of it. Today's card has me transitioning some of the new products in with the current (not officially "old" yet) products. 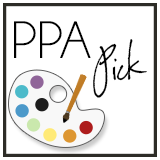 I have "sneak peeked" a splash of Quatrefancy Specialty paper alongside the current First Edition Specialty paper. The card stock is also a sneak peek of the new 2013-2015 In Color 'Coastal Cabana'. 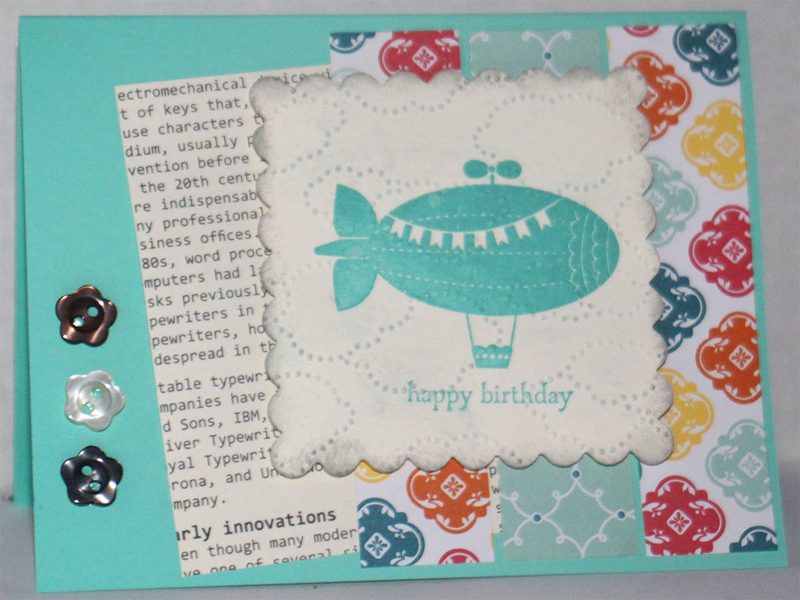 The happy birthday blimp from the 'Moving Forward' Hostess-only stamp set is stamped in the newest addition to the Brights collection 'Bermuda Bay'. It is gently sponged around the edges in the newest Neutrals collection color 'Smokey Slate'. The embossed clouds are sponged with Stampin' Up! 's new Subtle colors 'Soft Sky'. I added a touch of embellishment with buttons from the current Neutral collection that resemble the design on the Quatrefancy paper. I love how the word innovations sits below the blimp on the bottom left hand corner. Could easily be given to a male or female - young or old - it is a birthday card that works for anyone - my kind of card! Posted on May 24, 2013 by Martie Pollard and filed under Cards and tagged Stampin' Up! New Products.